Copyright: Entrants agree for their pictures to be used in on and offline marketing materials for International Cat Care only. Entrants agree to their winning pictures appearing in Digital Photographer, Your Cat and in the International CatCare magazine, as well as on the respective partner’s blogs, facebook and twitter. 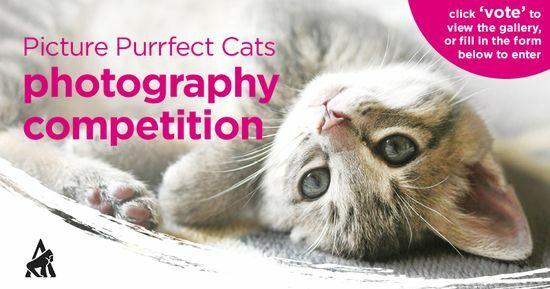 Feline charity International Cat Care has teamed up with Digital Photographer and Your Cat Magazine to launch photography competition Picture Purrfect Cats. Runners up from each category will receive a framed A3 print of their winning photograph, along with official merchandise from the charity. Young photographers, ages 13 – 17 years, can win a Samsung Galaxy Smart WiFi Compact Digital Camera. Judges: Claire Bessant, April Madden, Sue Parslow. Online submission of digital photographs via Facebook.